The Samsung Galaxy Note 9 will be unveiled on August 9 at the Unpacked event, and we are getting new details related to the device every passing day. Today, however, we got one of the biggest leaks of the phone as the official press render of the phone was posted by Evan Blass on Twitter. This press render confirms the design once again and looks like there are no more doubts related to the design of the phone. As the image above shows, the Samsung Galaxy Note 9 looks a lot like its predecessor, the Note 8, from the front. We can expect the bottom chin to be a bit smaller than the one on the Note 8 but the difference is going to be negligible. The main difference regarding the design is on the rear. Just like the Note 8, the horizontal dual camera setup is still there on the Note 9, but the placement of the fingerprint scanner is now different. The fingerprint scanner is now placed below the camera module, which is much better placement than on the Note 8 since Note 9 is a big device. 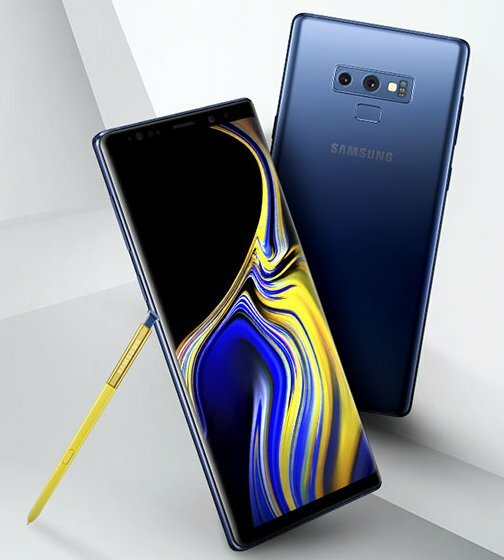 The image shows a yellow S-Pen with the Blue Note 9, and this is a pretty unique combination as so far we have seen Note series phones having S-Pens with the same color as the phone. So, Samsung Galaxy Note 9 is surely not going to impress a lot with its design as it looks a lot like its predecessor. It now comes down to the specifications and pricing that will decide the success of the device. What are your views on the Note 9’s design? Do let us know via the comments section.